Stop coal from being transported by rail from Utah to Oakland for export to China. The proposed project, known as the Oakland Bulk and Oversized Terminal, would build a massive coal and petroleum coke shipping terminal on the Oakland waterfront at the former Oakland Army Base. Phil Tagami, President and CEO of California Commercial and Investment Group (CCIG), is the developer of the project and owner of the port for the next 72 years. Oakland has long been a center for highly polluting transportation activities. This has resulted in disproportionately high health impacts for the residents of West Oakland. Coal is the dirtiest fossil fuel on Earth, imperiling the health of workers, endangering communities along the tracks, and contributing greatly to global warming and climate change. Big Coal’s profits are getting squeezed by the falling price of clean energy and closures of coal-fired power plants across the US. In response, coal companies are looking for ways to ship their dirty energy commodity to foreign markets. The plan would transport 24 thousand tons of coal per day through the I-80 corridor to the Oakland Marina.2 This will have serious health, environmental, and economic implications for Bay Area residents. Environmental justice and protection of the climate can go hand-in-hand with redevelopment of Oakland’s waterfront. In our campaign to prevent the shipment of coal through our city, No Coal in Oakland has had a dual focus: building community awareness of the threat of coal. Community awareness is essential to put political pressure on elected council members. In 2016, a loose coalition of community, labor, faith, and political groups successfully campaigned for the Oakland City Council to adopt an ordinance banning coal storage and handling in Oakland. In December 2016, Oakland developer Phil Tagami, the developer of the coal terminal, filed a lawsuit challenging the city's ordinance. 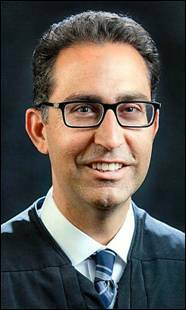 Federal Judge Vince Chhabria of San Francisco ruled in favor of the developer in January stating that the City of Oakland did not have sufficient evidence to conclude coal-handling would pose a substantial danger to public health and safety. “The judge’s ruling was right on. It’s a great day for coal producers in Utah,” said Carbon County Commission Chairman Jae Potter, who was a key proponent in Utah’s proposed investment. The City of Oakland on May 30, 2018 has announced its intention to file an appeal to the court ruling rejecting the Oakland Coal Ban. “The City Council has voted to appeal the federal district court’s May 23 judgment enjoining the City from enforcing its ordinance banning coal with respect to the proposed export terminal at the former Army Base. We believe the City has the responsibility and the authority to act when the health and safety of our residents is endangered... Those activities pose a clear and demonstrable danger to Oakland residents, especially children whose health will be directly impacted by coal dust and other health and safety hazards related to a massive and inherently unsafe coal export operation."